When redesigning an automobile, carmakers can eith take an evolutionary approach or a revolutionary one. When it comes to the Porsche 911, the company has unapologetically adhered to the former approach. Sure the 911 has changed over the years, it's bigger and heavier. It is packed with new technologies, almost every version is turbocharged now and the air cooling has long since been replaced. But a Porsche 911 is still a 911; small and nimble with a boxer six in the back, and no one is more capable of illustrating that commonality as Porsche itself. 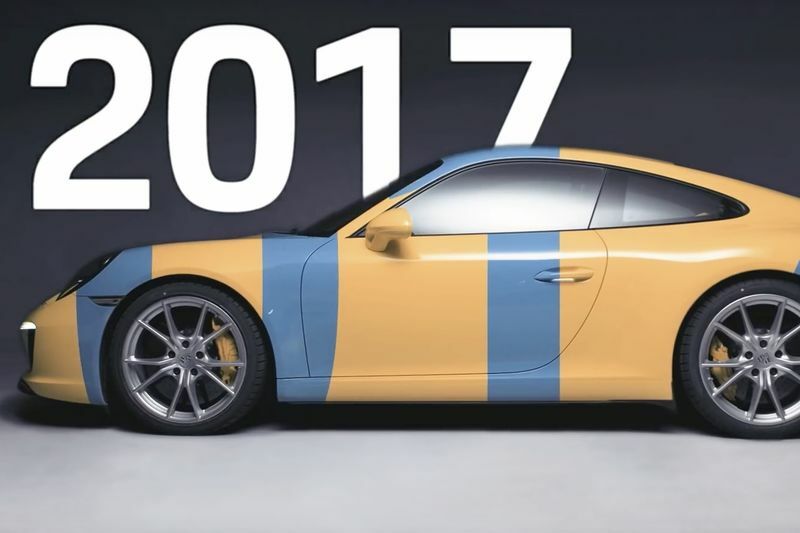 Just watch the minute-long video below, juxtaposing a 911 2.2 S Targa from the 70's with a new 2017 Carrera S. There is 47 years separation between the two, over the course of which the model – like the manufacturer and the industry around is – has evolved, but it is still unmistakably a 911.